With offices in North Miami, Coral Springs and Weston, the Law Offices of Russell D. Bernstein, P.A., The Legal Helpline — A Private Law Firm offers experienced and dedicated defense representation in a range of criminal defense cases — from traffic tickets for unpaid tolls to serious criminal charges like assault, battery or drug trafficking. 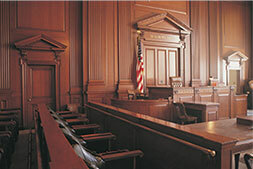 Contact a South Florida criminal defense lawyer for a free consultation. Our primary goal is to keep points off your driving record. In cases where there are multiple offenses or unpaid tickets from the past, we will strive to keep you from being classified a habitual traffic offender and avoid the resulting hefty fines and potential jail time. We also have substantial experience successfully defending clients who face drug charges ranging from the illegal possession of small amounts of marijuana to the sale or distribution of narcotics, also known as drug dealing or drug trafficking. To discuss your case in a free consultation with an experienced South Florida criminal defense lawyer, please call our offices toll free at 855-352-8425.